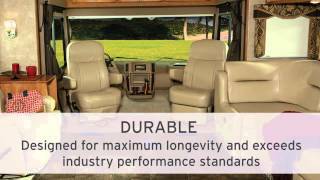 Winnebago Industries cab seats, sofas, loungers, and more can be covered in premium, soft Ultraleather™ fabric. Ultraleather gives you the softness, comfort, and luxury that is more durable than leather and incredibly easy to clean. 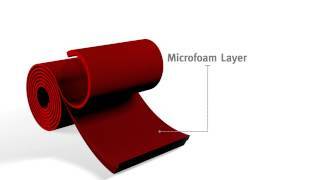 Made with proprietary technology that combines four material layers including PVC-free polycarbonates, it has been tested and proven to surpass competitive fabrics for integrity and durability. Plus, Ultraleather offers superior thermal comfort—creating a comfortable, neutral body temperature regardless of the setting. With Ultraleather, you can stay pleasantly protected from the bumps, spills, and scrapes of life on the road.